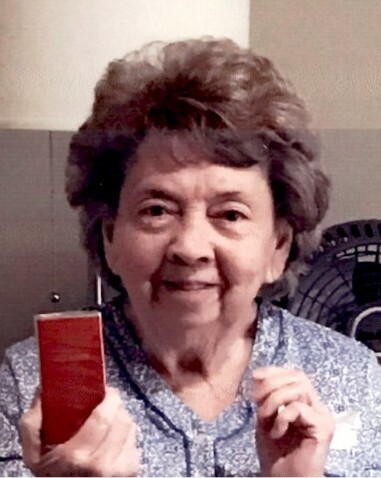 Mary Helen Hunt, 86, of South Shore, Kentucky passed away, April 9, 2019 in SOMC Hospice in Portsmouth, Ohio, She was born in Portsmouth, March 11, 1933, a daughter of the late Emrice Charles Lair and Helen Leona Gordon Lair. She was retired from Southern Ohio Medical Center in Portsmouth, Ohio and a member of the Allen Chapel Church of Christ in South Shore, Ky.
Preceded in death by her husband, Billy Joe Hunt, 2010, one brother, Robert Charles Lair, one nephew, Benjamin Lair. Surviving are step children, Joe (Peg), Todd (Vicky), Travis and Billy, nieces and nephews, Claudia (Rick) Stobaugh, Jon (Karen), Josh (Tammy) and Paul (Diane) Lair, brother in law, Herb Banister and sister in law, Rosemary Hamby and her children, Kathy, David, Kenny, Jeff and Ronnie, niece, Emma (Sis) Waddell and her family, Heather, T-Bird and husband Terry and a special friend, Mary Baker. Funeral services will be held 1 p.m. on Saturday, April 13, 2019 at the Roberson Funeral Home in South Shore, Ky with Brother Harold Dupuy, officiating. Burial will follow in MT. Zion Cemetery, South Shore, KY. Friends may call at the funeral home from 11 a.m. till the funeral hour at 1 p.m. on Saturday. In Lieu of flowers donations can be made in honor of Mary to SOMC Hospice in Portsmouth, Ohio.